A Collecta Parasaurolophus dinosaur model. A hand-painted model of the duck-billed dinosaur Parasaurolophus. 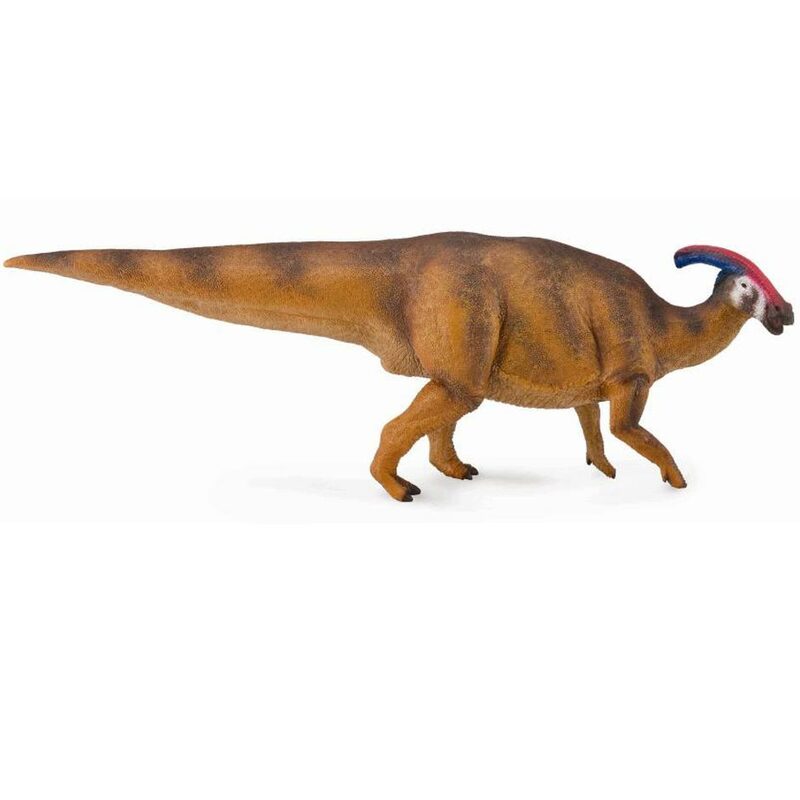 A 1:40 scale Collecta Parasaurolophus with a red crest. Great for creative play. 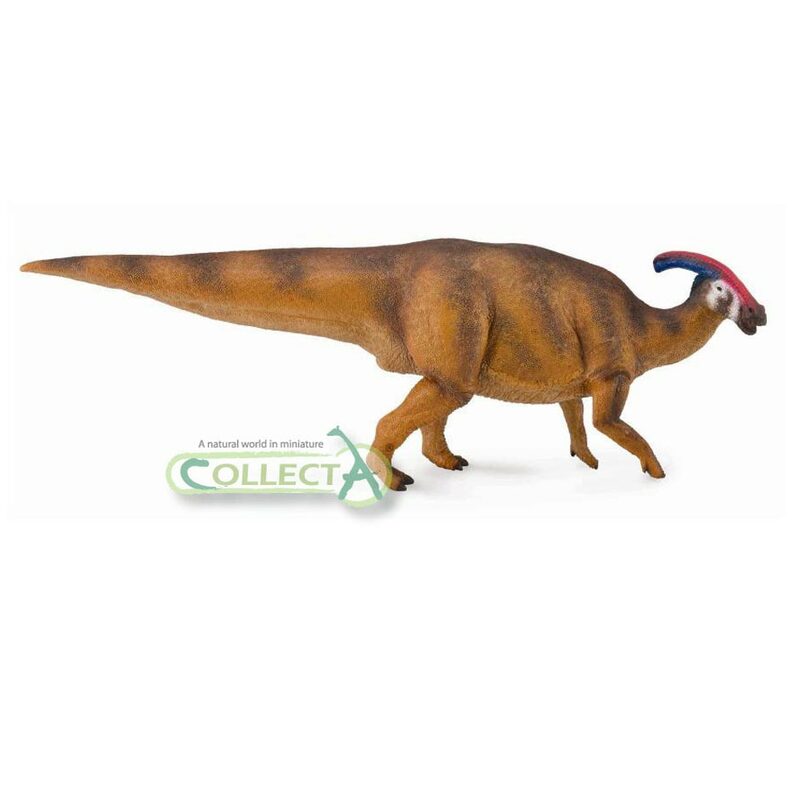 This has to be the very best looking Parasaurolophus on the market and you can get it right here at Everything Dinosaur. The musculature and color are amazing and it scales up very well with Papo or Carnegie T Rex or any large Carnivore. Stunning model and among my favourites! 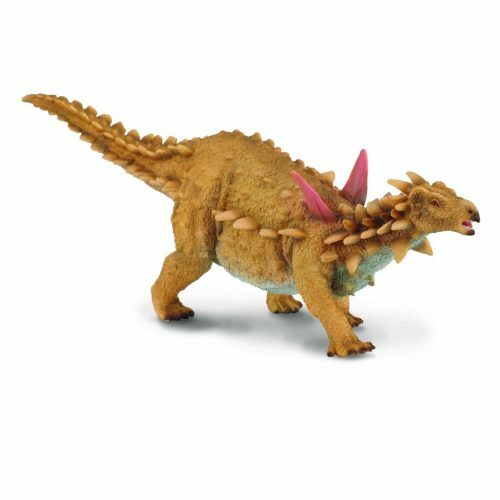 This is probably the best Parasaurolophus model you can get. His head & crest displays many beautiful colours. He looks like he is very well fed. This model also comes with a small human figure, which shows how big this dinosaur was. Hadrosaurs are woefully underrepresented by model makers, particularly ironic as they were such common and successful dinosaurs. Although Collecta have a range of not to scale hadrosaurs of varying quality this is their first deluxe hadrosaur, and hopefully not their last. 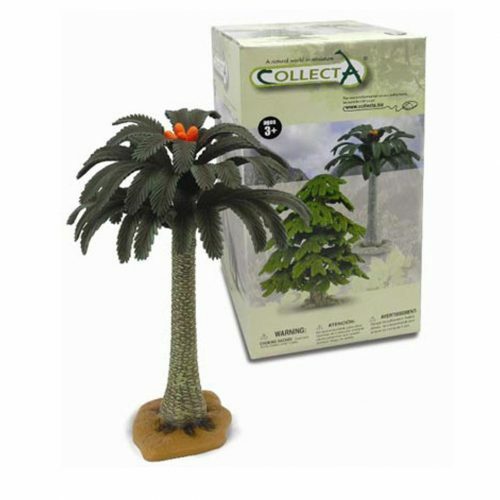 It is a huge model with a superbly shaped and coloured head and nicely textured skin. It is not perfect however. The rear legs are too small and the front arms too thick and the torso is bizarrely wide and fat. Despite this the model still seems to work especially when viewed from the side and I hope that Collecta make more hadrosaurs in future, maybe a Thethyshadros? Superb service from Everything Dinosaur as always.